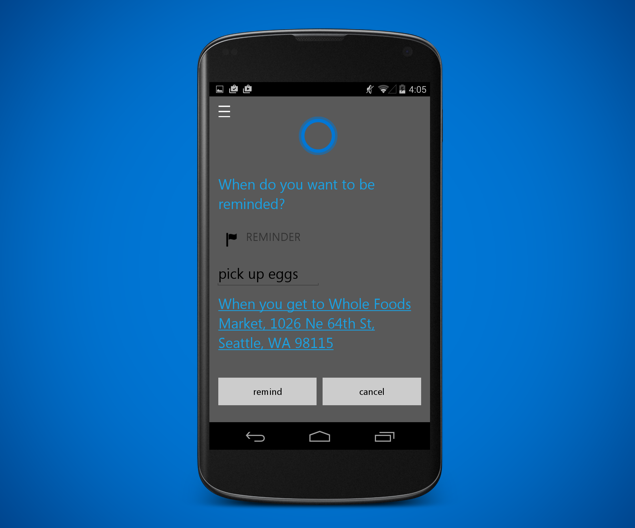 Official Cortana APK for Android is now available to download as a public beta. Microsoft’s voice assistant was previously available to those who signed up for a closed beta program. Microsoft made it official this year it would be bringing its famed voice assistant to Android, and then later onto Apple’s mobile platform, iOS. Of course, the capabilities of Cortana would be somewhat crippled on Apple’s mobile platform, hence Microsoft made the move to cater to Android as well, and it’s the first mobile platform outside Windows to embrace the powers of Redmond’s voice assistant. Previously available via a limited beta program to those who signed up for it, Microsoft has now taken away that barrier and has made the Cortana app available to download directly from the Google Play Store as a public beta offering. But of course, it’s not a final product, and hence the beta tag, so expect a few rough corners here and there during your usage. As you might expect, Cortana on Android works in the same way as you’d expect it on Windows 10 and of course, Windows Phone and Windows 10 Mobile. Despite being available on a third-party platform, it’s surprising to note that Microsoft’s voice assistant feels and works as if it’s right at home. • Use Cortana as a voice assistant by speaking naturally or even by typing, and she’ll find answers from the web or help you get things done. 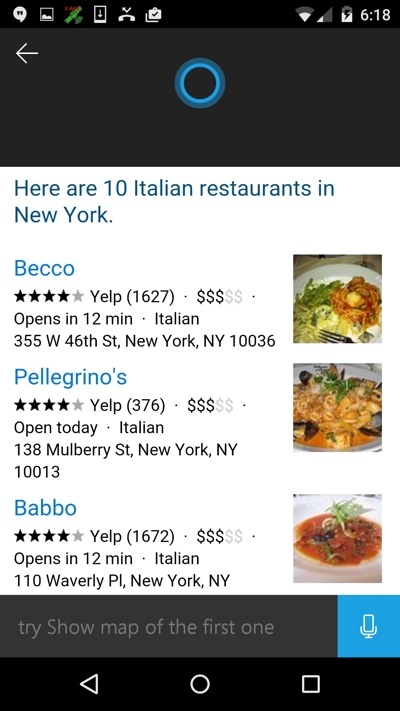 • Find answers using Bing including the latest sports scores, movie show times, local restaurants, facts and references, and more. 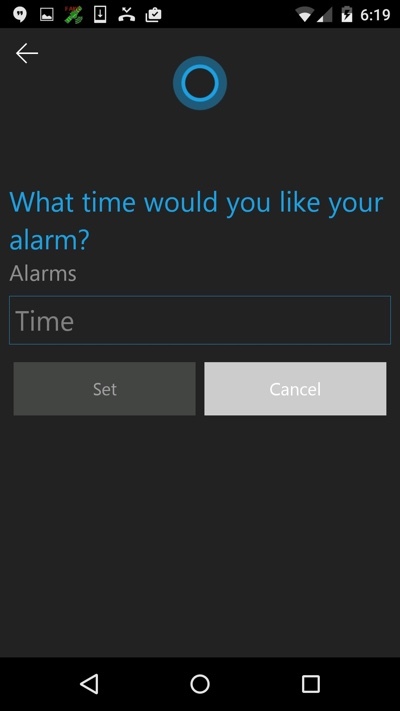 • Set reminders with Cortana and get the reminders at a specific or recurring time, or when you arrive/leave a certain location. • Place calls to your contacts using voice. • Voice texting: dictate your SMS/text to Cortana using voice. As you can see, all the basic functionality is covered in this release. 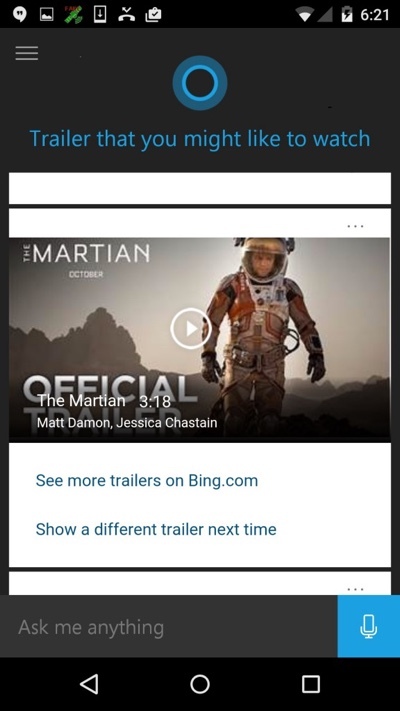 From getting queries from Bing, as well as dictating your text messages using the power of Cortana, users can rest assured that it’s not a half-baked experience. And of course, over time Microsoft will push out updates to strengthen the foundations of the app, so be on a lookout for that as well. If you’re up for taking Cortana for a spin on your Android device, then be sure to sign for the beta from here – it’s absolutely free – and then download the APK from here, directly from the Play Store. Don’t forget to let us know in the comments section below what you think about the entire Cortana experience on Android.